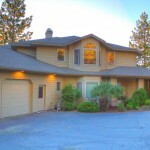 Most of us start out looking for Bend homes for sale. There are many reasons people buy a home in Bend, Oregon. Many of us came from larger cities and long for a simpler lifestyle with a higher quality of life. Some come from a small town and long to return to that feeling without giving up the big town conveniences they’ve become accustom to. Whatever the reason you want to buy a home in Bend, Strategic Realty, LLC is here to help you. Few people have ever been relocated to Bend by an employer. For most of us a move to Bend means bringing our job with us or starting a new company. Many people are surprised to learn that each of those options are fairly easily accomplished. We’ve had many large companies support their workers desire to move to Bend and even find them a bend home for sale. If you have any questions or would like to arrange showings for any of the properties you find, the team at Strategic Realty is ready to help, call us at 541-595-8444.